Whether you are developing mobile applications for in-house use or for paying clients, it is crucial you follow a set standard of procedures for maximum efficiency. Programmers who follow a pre-set checklist are much likelier to deliver a product promptly that exceeds expectations. Understanding the essential components of app development is critical for long-term success as a programmer. Consider the following five factors when formulating your development checklist. If you hope to have repeat clients, the speed with which you deliver code is crucial. App development is a time-sensitive business. If you’re taking too long to get a product to a customer, they run the risk of having a competitor beat them to the proverbial punch. A competitor can launch a similar application and garner user attention and loyalty before your app makes it to the app store. While you don’t want to sacrifice quality code on the altar of speed, you also don’t want to dawdle or think you have oodles of time to deliver a premium product. Make sure your development checklist includes time-specific update checks to ensure code creation is progressing as quickly as possible. Speaking of delivering quality code, a regular process for code audits is imperative. You might like to think of yourself as a flawless code slinger, but auditing your code needs to be a set-in-stone part of your creative process. Plan in advance for the audit procedure, including variables as to who is responsible for performing code audits and how follow-up will be conducted to ensure completion of all suggested code changes. Compliance proof is another development factor that you cannot overlook. 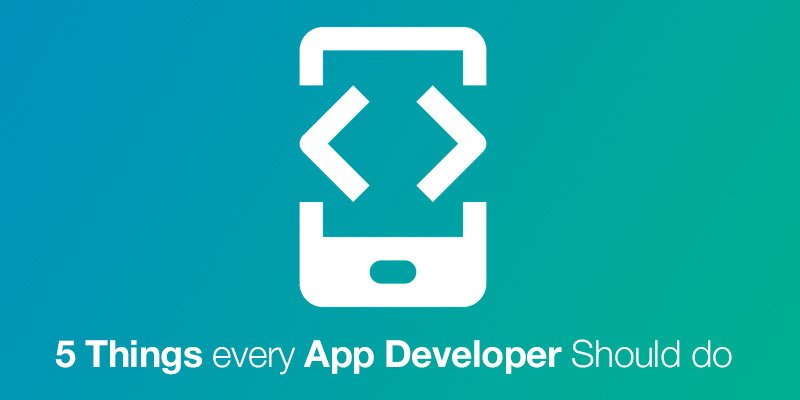 It might be tedious and tiring work, but the success of your app builds will depend upon it. From app store compliance to regulatory compliance, if you are working with sectors like healthcare, you cannot forego this most crucial step. Especially regarding privacy and access requests, developers need to ensure their code is 100% in compliance before delivering a product. Having a standardized process for app releases will ensure no critical step gets overlooked. Know who is responsible for each item on your release checklist and ensure everything gets double-checked before releasing an app into the wild. Along with a standard release process, ensure you have a process in place to deal with bug fixes. You can be as fastidious as possible when you are creating code, but invariably bugs are found once an application is released. Have plans in place for fixing bugs as well as for app store updates regarding recently fixed issues. Ensuring you have standardized processes for app development and release can have substantial cost savings. For clients contracting you for app development or your own IT department, every delay in progress can be costly. The familiar adage ‘time is money’ is most certainly true when it comes to app development. The better your processes, the more efficient your final product will be. Do you think you will be tweaking your development checklist to ensure your code creation process is as efficient as possible?